Part of the Reserve team since day one, Peter joined us in 2010 after returning to his home state from Chicago. While in the Windy City, he worked his way up the ranks within Levy Restaurants, and came on board at Reserve as one of our opening managers. A cork dork at heart, he immersed himself in wine studies, reading and tasting all he could. The work paid off as he quickly earned the Certified Sommelier title from the Court of Master Sommeliers. Peter has grown our wine cellar to its world-class reputation, and in his dual role as GM and Head Sommelier, is integral in the growth and evolution of the restaurant. He and his wife Carmen live in the Breton Village neighborhood of Grand Rapids. 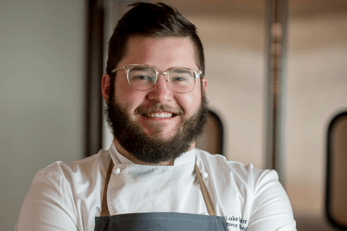 Luke, a Grand Rapids native, started working in professional kitchens as a teenager and has never looked back. He quickly moved up the culinary ladder, finding his way to Reserve in 2012. 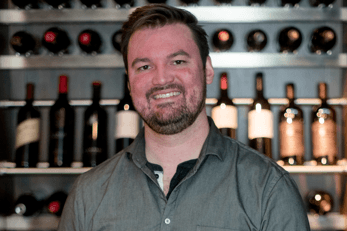 Here he is able to hone his craft, focusing on whole animal butchery and charcuterie and is a vibrant supporter of locally grown and responsibly raised product. 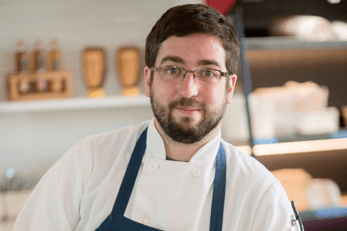 Luke sees everyday as an opportunity to grow and innovate, both personally and on the plate. He lives on the West Side and when not in the kitchen, loves to get out for a long motorcycle ride. One of Detroit native Megan Knapp's earliest memories is of playing ``waitress`` with her grandfather, taking his coffee and cookies order as he sat at her tiny café table. That endearing memory led her to a career in hospitality, working over the years in kitchens, and as a host, server, bartender and manager. At Reserve, Knapp's goal is to continue to further her and her colleagues' education, continuing to learn, teach and grow. 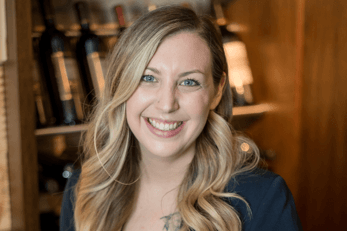 She finds the common ground of sharing an exquisite meal paired with a great wine one of her favorite things to do and when not at Reserve, Knapp can be found studying for her sommelier exam, perhaps drinking a glass of Champagne while doing so. She and her family live in the East Hills neighborhood. Detroit native Tisha Scheifele shares a common thread with so many people of a certain generation - a childhood love for the Easy Bake Oven. As a little girl in a large family, she loved playing ``restaurant`` and as her parents were big entertainers, she ate up the energy and excitement around their parties, and it led her onto her career path. This self-taught chef followed her passion and began working in catering and special events, eventually working as an independent caterer. In 2018, she joined Reserve, bringing her knowledge, energy and excitement to parties large and small. Scheifele and her son live in Holland, and like her parents, she's often hosting dinner parties when not working. If she could do anything once a day, that thing might involve eating a donut made at her very own bakery - not far off from those Easy Bake Oven days of her childhood. While studying anthropology and geology, Grand Rapids native Rob Hanks supported himself working in bars and restaurants. Initially planning to further his studies abroad, Hanks realized working in hospitality allowed him to put to use all he had learned in school on a cultural level – that food and drink are some of the greatest cultural influencers in most any society. Hanks poured himself into the history and influence of cocktails, mastering the classics while experimenting with new techniques. At Reserve, he has developed a cocktail program that is rooted in technique and adds his unique twist; with Old World inspiration and a flavor first basis, Hanks first looks to ingredients with his refreshing, light and slightly bitter style. Since he made the transition from studying rocks to “on the rocks”, Hanks’ goal behind the bar is twofold – to make his guests comfortable and perhaps a bit happier than they were when they came in; and to continue to educate and elevate his staff and guests on all things drink. Hanks serves as President of the Grand Rapids Chapter of the U.S. Bartenders Guild and when not working, he looks to travel or explore one of Lake Michigan’s countless beaches. Hanks lives in the Eastown neighborhood of Grand Rapids. 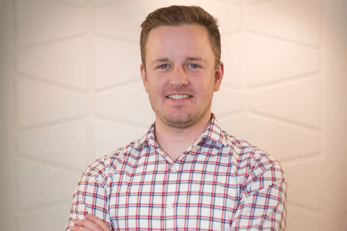 Born & raised in Jackson, Michigan, Ryan began working in area restaurants as a high school student. As he worked his way through the various kitchen stations, he realized his interest in the culinary arts was more than just a way to make some spending money and decided to pursue cooking as a career. He relocated to western Michigan and there, began exploring different food cultures, learning the unique styles, ingredients and influences within the different culinary ethnicities. That global influence, along with his focus on local and seasonal product, defines Davis' culinary philosophy. Davis lives in the Creston neighborhood of Grand Rapids and when not in the kitchen he is likely out exploring the area's many bicycle trails. 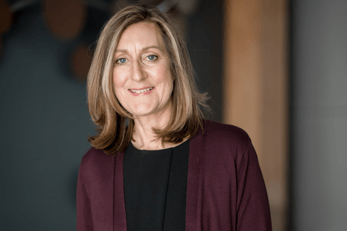 Born in Ann Arbor, Miriam Geenen learned from the best – Mom. Her mother had worked in a bakery and passed on her love of breadmaking to her daughter. After moving around a bit, Geenen settled in Nashville post-college, working in a restaurant where she was lucky enough to have a mentor who guided her onto a new career path. 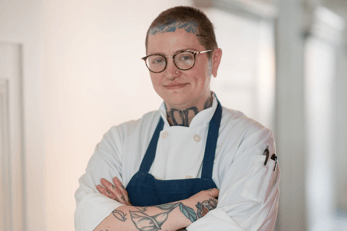 She relished the creativity she found in the kitchen, and after returning home to Michigan began working at area favorites Trillium as sous chef, and Louise Earl Butcher, where she created the monthly Butcher Dinners. In 2018, she joined the Reserve team, and just like she remembers the smell of baking bread in her childhood home, she hopes to elicit similar warm memories with her guests. With a style that is modern yet simple, she favors interpretations of dishes that have been passed down over generations and is heavily rooted in the traditions of the South. When not in the kitchen, Geenen loves to get out in nature and lives in the East Hills neighborhood of Grand Rapids.